As of November 2018, Glassdoor.com reports the average base pay for a loss prevention manager to be $57,221 per year, excluding bonuses and/or other cash compensation. LPM has looked at loss prevention salary statistics in the EU, but the magazine has yet to examine US salary statistics in close detail. 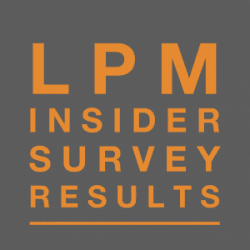 Last week’s LPM Insider survey wanted to know whether you thought you were being paid fairly for the work you do. Here’s the breakdown of responses. Many factors go into determining one’s salary, including years of experience, geographic location, performance, and level of education. Do you think the salary you earn is a fair one? 47.4% said Yes, I’m compensated adequately for the work I do. 47.4% said No, I don’t make the salary I deserve. [No] Based upon average wage for my position in the industry. [No] Myriad of duties and responsibilities; geographic location. [No] Companies that are too tight with their money lose loyalty, and then their best people. Then they wonder why. The door swings both ways. [Yes] Based on the requirement and compensation comparison. [Yes] I do a job that I like and feel that I am making a difference for a decent salary. [Yes] I am compensated at a similar rate as managers outside my pyramid at the same level. [No] There is no awareness and enough commitment within the company. [Other / Unsure] I feel I should make more than 33,000 a year. [No] The company I work for tends to underpay their employees. [No] Taking into account the number of hours put in versus comparable operations side managers, level of education plus accompanying certification specific to my field has yielded me almost zero improvement in pay beyond yearly increases. With over 20 years in the field from specialist to district level I still don’t make what the average is. Even considering cost of living in my area. [No] Casino industry is booming, Security is the only department that crosses into every venue. Generally last say on the next move. [Yes] I am happy with the company I work for and happy with my wage. Do you agree? Disagree? Comment below and let us know. If you would like to take the pulse of the industry and have suggestions for future survey questions, please Contact Us.